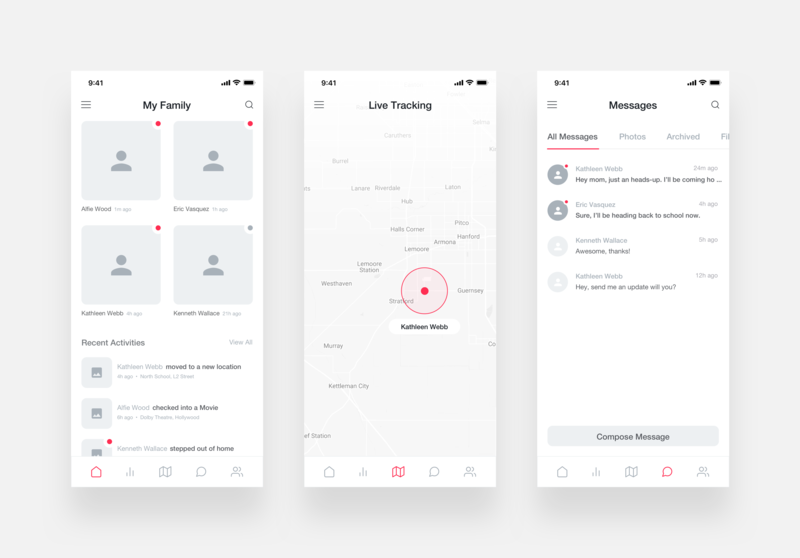 Brief: To design wireframes for a family safety app, to be used by parents or guardians, monitoring their kids. 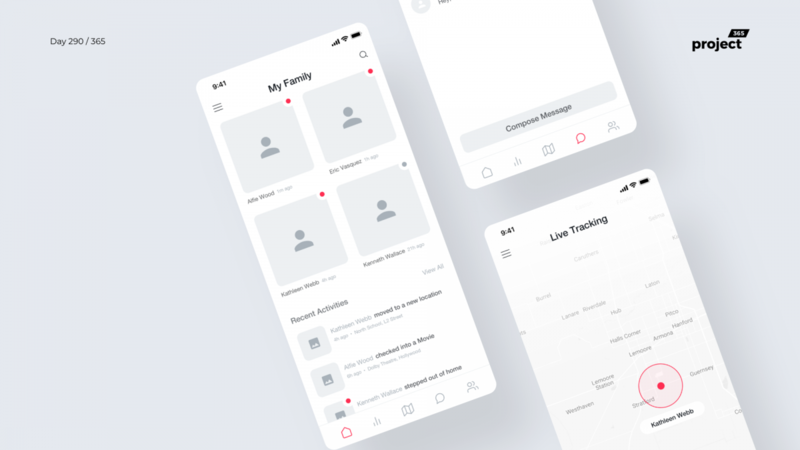 Hey guys, here’s a mid-fidelity wireframe for an app that helps with family management and safety. Would you use such an app, to keep your kids safe and watch what they’re up to?